n an island in the middle of San Francisco Bay sits a series of abandoned wooden buildings, slumped over and sinking into the ground. They're all that remain of the town called Drawbridge -- often referred to as the last ghost town left in the Bay Area. Bay Curious listener John Aird is a fifth-generation Californian who lives in Santa Cruz. Decades ago he visited the town when a few people were still living there. Now he’s back and curious about its history. “I’d like to know more about Drawbridge. Anything about the history and when and why it was created and when it became a ghost town,” he says. In the late 1800s, San Francisco was growing and its inhabitants found themselves with free time and a desire to go on vacation. Even back then, the beautiful beaches of Santa Cruz were an attractive destination for fogged-in city dwellers -- though it took a lot of effort to get there. 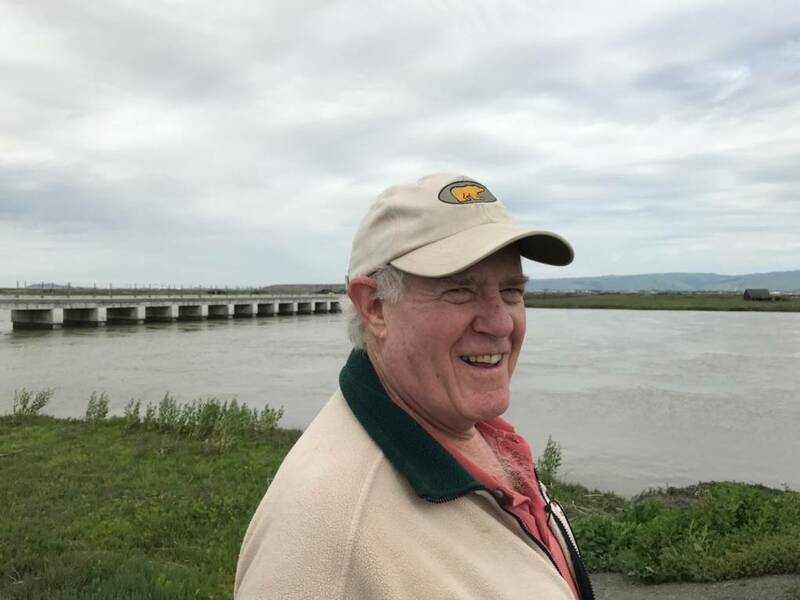 “If they went by stagecoach, it would take them a couple days down through the peninsula,” says Ceal Craig, president of the San Francisco Bay Wildlife Society and co-author of an upcoming book about Drawbridge titled, "Sinking Underwater: A Ghost Town's Amazing Legacy." The long journey could cost more than $40 at the time, which today would be more than $900. All that to go about 75 miles to Santa Cruz! Two men saw all this money changing hands and thought they could build a good business catering to the vacationers. "Slippery" Jim Fair was a politician and Alfred "Hog" Davis owned a meatpacking plant. Together they formed a railroad company called the South Pacific Coast Railroad. In several hours it could ferry San Franciscans to Alameda and then put them on a train down to Santa Cruz. “They had this challenge because if they went all the way on land, that makes a very long railroad,” Craig said. To make the trip shorter, they laid tracks across some marshlands at the south end of the bay. At one section, the tracks cross a small island that's less than a mile long. The island is flanked by two major waterways, Coyote Creek and Warm Springs Slough, that got a lot of boat traffic. 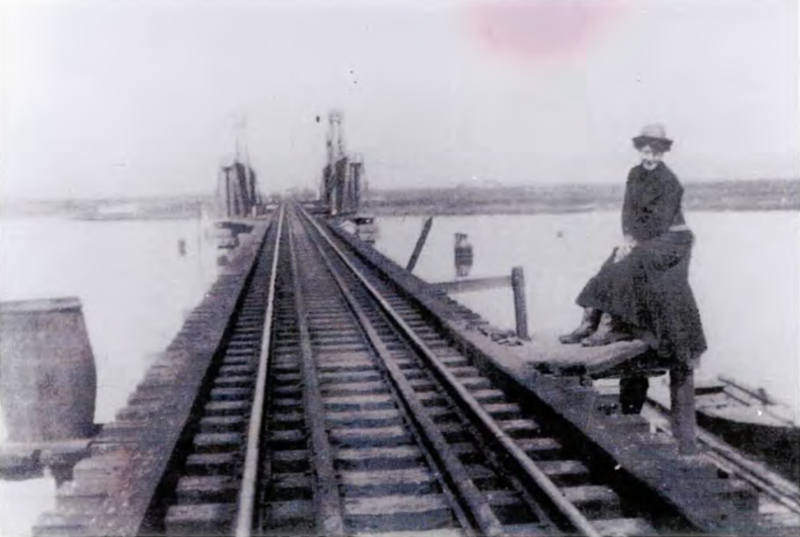 To get past the water, the railroad company built swing bridges that were completed in 1876. A swing bridge is designed to turn at the center of the waterway. “Drawbridge is a misnomer," Craig says. "The town should be called Swing Bridge." The bridges needed to be opened manually, and the first bridge tender was George Mundershietz. When he moved to the island, his cabin was the only building there. Though there were no other people, Mundershietz was surrounded by plenty of wildlife. Fish and shrimp thrived in the muddy waters, and thousands of birds hid in the pristine marshlands and high grasses. Passengers on trains passing through noticed. Before long, hunters began abandoning their trips to Santa Cruz to get off the train early and shoot ducks. 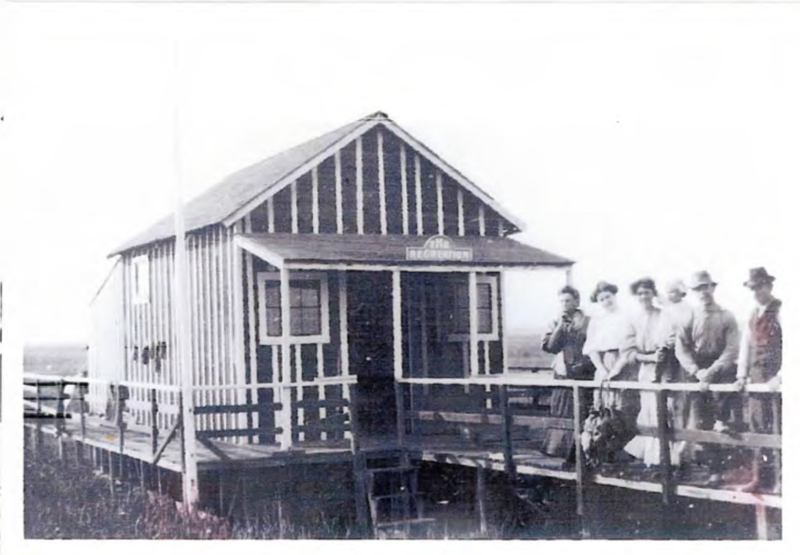 When they got too tired to make it home, they’d pay Mundershietz 50 cents to spend the night in his cabin. From there, Drawbridge grew. Outdoorsmen started coming to Drawbridge in droves. Trains started making regular stops in town, and hunting cabins popped up all over the island. Around 1900, the Sprung Hotel opened and became a fixture. 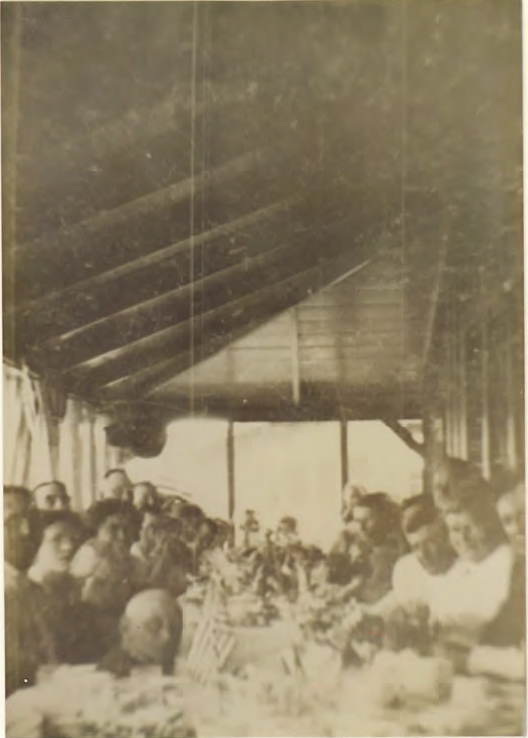 The hotel served duck dinners and provided the town with water, which was pumped from the ground daily. Joe Sprung and his wife, Hedwig, ran the hotel. When all the rooms were full, Mrs. Sprung would rent out her room and sleep in the bathtub. “There were no police, no mayor, no city council -- nothing like that,” Craig says. With little government oversight, the town developed a reputation as a place to go for prostitution and gambling. But former residents didn’t talk about that in interviews. Instead they waxed on about idyllic rural living and hunting. Before limits were imposed, hunters would fill small cannons with shot, nails and chains to kill hundreds of birds in a single go. The town reached its heyday in the 1920s. There were about 80 or 90 houses, many on stilts and with their own rowboats. Five trains a day stopped at Drawbridge, bringing visitors to shoot, fish, relax and drink. Despite Prohibition, Mrs. Sprung brewed her own dark beer and sold it to hotel visitors for 25 cents. On the weekends the small island’s population would swell to 600. Even in a town this small, former residents remember a strong class divide. The south end of town was where most full-time residents lived. 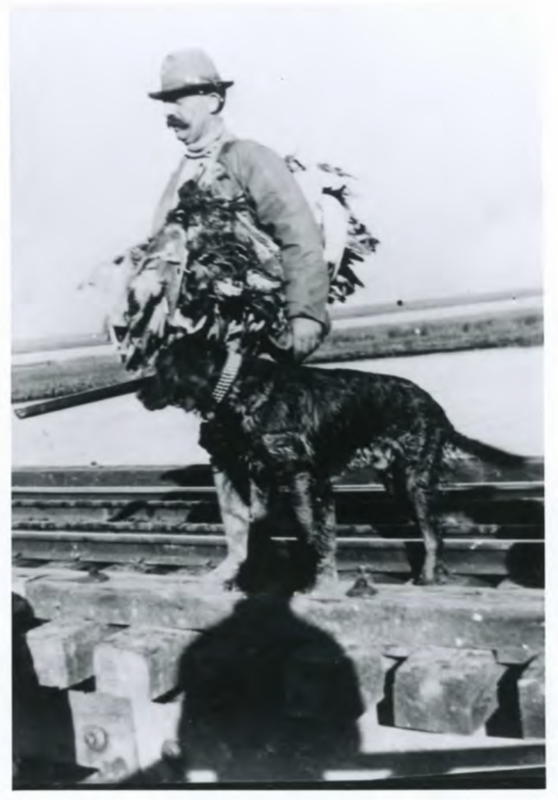 They included hunters, fishermen, and employees of the hotel and railroad. 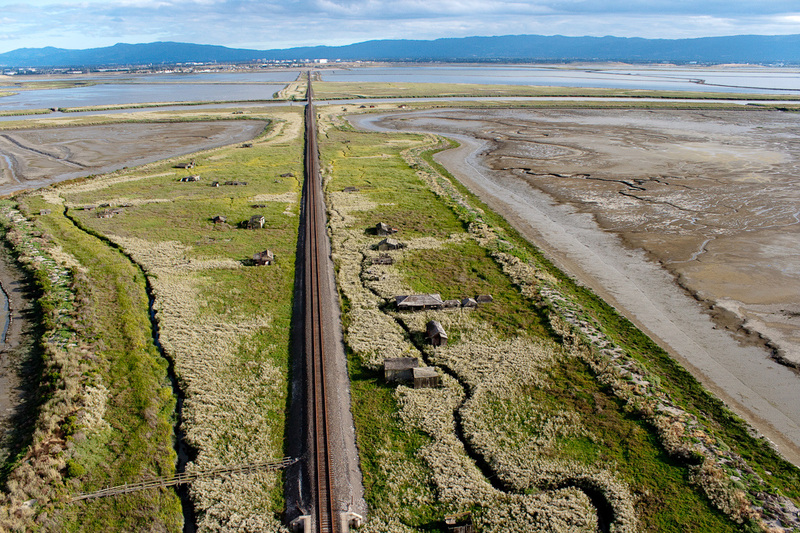 To get to school, the children of workers would walk along the 3 miles of track to the nearby town of Alviso. Meanwhile, the north end was mostly for part-timers in town on vacation. Not long after Drawbridge's rise came its fall. The South Bay was industrializing and its population was growing. Nearby cities like San Jose and Fremont started pouring industrial waste and untreated human sewage into the bay, which harmed the creeks around Drawbridge. It was unpleasant for both humans and wildlife. Salt manufacturing in the South Bay also expanded. By the 1930s, half of the marshland had been converted into salt ponds, destroying the habitat of many birds. With polluted water and fewer birds to hunt, Drawbridge lost its luster and visitors came less frequently. By the 1950s, more South Bay residents meant more demand for water, and they began tapping the aquifer. The deep wells in Drawbridge ran dry and the town began to sink into the bay. When the tides rose, sometimes they’d rise a little too high. The documentary film "Drawbridge" tells of a woman cooking in galoshes, as she watched a fish swim in and out of her kitchen. By 1963, fewer than five residents were left. Life got harder for those who stayed, as local newspapers began writing about Drawbridge as if it were already a ghost town. This attracted some unsavory characters. “People would come out and do inappropriate things," Craig says. "Theft, vandalism, going through people's houses, things like that, burning them down. So it just became a little dangerous." The remaining residents felt unsafe, and all but one left. Charles Luce was the last resident of Drawbridge, and lived alone out there for years. Luce finally left in 1979. By then, the town had been designated as a wildlife refuge. Drawbridge was just for the birds. No hunting allowed. Nowadays the only way to get to the town is on a train that doesn’t stop. Riding through, you can see the two dozen remaining structures. They’re in bad shape. A few are covered in graffiti, and others are nothing but the bones of the buildings they once were. They’ve been left to the elements and, year by year, they sink deeper into the mud.